Road directions to Naples including the ferry & hydrofoil ports such as Pozzuoli, Naples Beverello and Porta di Massa, car parking in Naples and general advice about driving in Italy. Naples is easily reachable using Italy's motorway network. If travelling to Ischia, your main destination will be the ferry & hydrofoil port in Naples (Porta di Massa) or the one just outside Naples in Pozzuoli. If you're heading to Porta di Massa, the main port in Naples, simply follow the motorway signs to the port (Porto) and you will avoid driving through the busy streets of Naples itself. For Pozzuoli - from the North follow the A1 towards Naples, after the Naples toll-gate, follow the highway for about 12 km, take the tangenziale (direction Pozzuoli), follow the tangenziale and take the first exit after the toll-gate "Via Campana", and then follow the directions to Pozzuoli Port. For those that are visiting Ischia for just a few days, it may be more cost effective to leave your car parked in Naples rather than pay for two ferry journeys. Each ferry journey could cost between €43 and €65 depending on type of car and number of passengers, the car parks have various charges which it may well be worth considering if you're stay is for less than a week. Below are some suggested car parks with contact information and rough price-guides where possible but you may also find the "Parkopedia" website (above) useful. Exit from Naples Tangenziale "Corso Malta/Centro"
﻿Italy has a reputation for dangerous driving which is sometimes deserved but most of the time not. A rule of thumb is to just err on the side of caution and don't become embroiled in arguments with other drivers who may appear aggressive towards you. Many Italian drivers will cruise right up to your bumper and then start flashing their lights at you if you are in the overtaking lanes but this should not be seen as a sign of aggression, more a sign that they want to get past you so act accordingly and sensibly. The motorway network is mostly excellent although you may find some slower spots in the North East and most certainly on the southbound stretch between Salerno and Reggio Calabria which is one of the most ambitious road-improvement projects in the world and has been for the past twenty years or so! 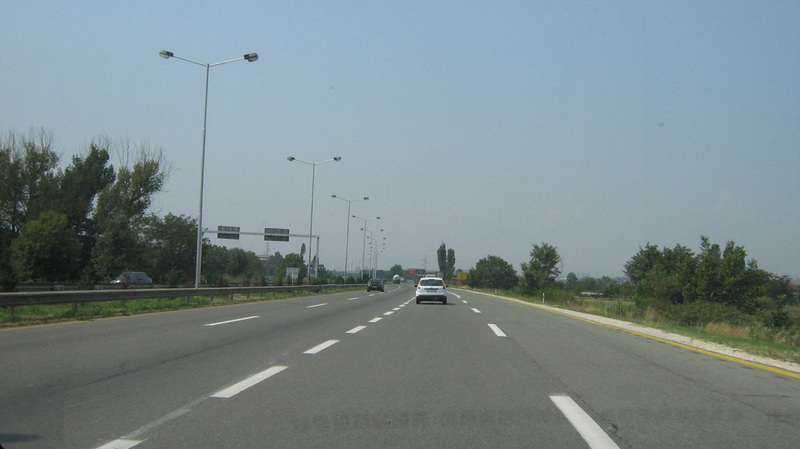 Motorway tolls can add up, for example you could pay 100 euros between Milan and Naples, but that expenditure can be offset against the amount of time you save by using the motorways so make sure you plan your route carefully. We've found that the Michelin site is excellent as it calculates the tolls for you so we've included a link below.